A friend or family member must accompany the patient to PSCL and drive the patient home. As you wait during the surgery or procedure, you'll enjoy a waiting room that features comfortable lounge chairs. Welcome to Physicians' Surgery Center of Longview, a facility designed and built to provide patients, phisicians, and surgeons the latest capabilities and amenities in outpatient surgical and procedural care. This section will answer your questions and provide you with information you need to make your outpatient procedure go smoothly. How is my surgery or procedure scheduled? 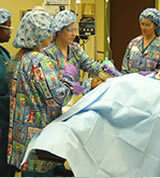 Your physician or surgeon will work with you to schedule a date and time for surgery at PSCL. You'll also receive specific instructions about how to prepare for you surgery. Will I need a pre-operative physical? Every patient requires a physical prior to surgery and there are several options to get this done. PSCL will work with your physician's office to assess the best option. A physical may be performed by your primary care physician or by you surgeon, and may take place during a pre-operative visit to the PSCL or on the day of surgery. If you have any questions, please contact PSCL's pre-operative nuerse at (903) 248-9240. What time will my surgery take place? 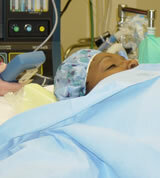 PSCL will call you before your surgery to confirm the time of your surgery. If you have not received a call from us by 3:00 p.m. on the day prior to your scheduled surgery, please call us at (903) 248-9240. What should I do the day or night before surgery? Your doctor´s office will give you detailed instructions on how to prepare at home for your surgery. Please follow all the instructions your surgeron has given to you (including taking any prescribed or over-the-counter medications). Please notify your doctor's own office and the Physicians' Surgery Center of Longview at (903) 248-9240as soon as possible. What should I brind the day of my surgery? Please bring all your insurance information and picture ID. Also wear comfortable clothes and shoes that are easy to take off and put back on. Please leave all valuables at home. Tell our staff if you are wearing dentures or other medical device. Can my family see me after my procedure? The PSCL nursing staff will offer family members periodic updates on the patient's progress and recovery. We suggest just one or two people visit during recovery. No. Any patient who requieres sedation for a procedure must be driven home by a responsible adult, over the age of 18. This is a safety procedure strictly adhered to for your benefit. PSCL staff will determine when you can go home safety. What shoul I do upon my return home? Follow all of your doctor's instructions for your recovery at home, such as for meal, drinking liquids, rest, exercise, bandages and dressings. Also, you may receive a prescription for one or more medications to take during your recovery. Should you experience any complications while at home, please contact your doctor's office. 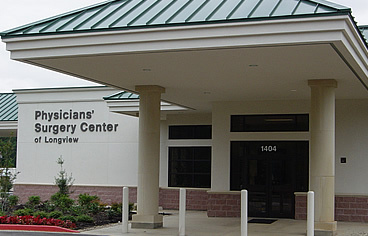 The Physicians' Surgery Center of Longview takes all major insurances, and many outpatient sugeries and procedures are covered. Our staff will assist you in verifying what your insurance will cover. Please call our billing office at (903) 248-9240. Bill From your doctor, anesthesiologist, and from the various lab services will be billed separately. According to some insurance plans, patients are responsible for a nominal co-pay made directly to the outpatient facility at the time of the surgery. PSCL accepts cash, check and credit card (MasterCards, VISA, American Express, Discovery).